Following our very successful fundraising and the kind donation made by Mary Golden, the Midfield Development Association has published a folklore book called "A Story Told to Us Last Night”, using a selection of local stories from the 1937/38 National Folklore Collection, plus stories written by the children of 2010 from Midfield National School (22 students took part in 2010). In a small town in 1960s Ireland, a teenage boy is killed in a dreadful accident. His sister, his mother, and a man who is a neighbor, each recalling her or his own life as permanently marked by the absolutely senseless death of the lad, paint in painful but hopeful brushstrokes their versions of the intertwining of love and loss and how the former makes the later endurable. Over the last thirty years Thomas Kennedy has quietly established a reputation as a novelist of rare grace and vision. Yet American readers and critics may not know his name for the simple reason his fiction has largely been unavailable in America. There is a widespread disillusionment among Christians today. As so many teachings and practices seem irrelevant to the deepest yearnings of the human soul, how do we reconcile our institutional religious traditions with our human neature to embrace a deeper spirituality? When Bonnie McEneaney's husband, Eamon, died in the attacks on the World Trade Center, she thought she had lost him forever. And then something unexpected happened that would shake her to the core and reassure her that her husband was still with her. As Bonnie reveals in this groundbreaking book, she began to have experiences that convinced her that her husband, in spirit, was sending her signs, indeed messages, that he was still present and watching over his family. A personal memoir from the family that inspired the film Extraordinary Measures, starring Brendan Fraser, Harrison Ford, and Keri Russell—a father’s story of his determination to save the lives of his two youngest children born with a rare genetic disorder and finding hope, strength, and joy despite extraordinary challenges. An Inspirational Memoir of Growing up Catholic in the 1960s. 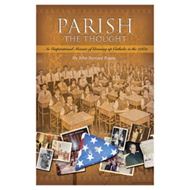 In this memoir, Parish the Thought, John Bernard Ruane shares the evolution of his faith as he grows up in a blue-collar neighborhood, attending a Catholic grammar school and serving as an altar boy. 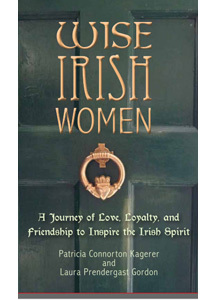 This memorable collection of personal stories from locals, tourists, and people of Irish descent allows readers to experience all the magic and beauty of the Emerald Isle. Each story offers a unique look at the country and culture of Ireland- from its breathtaking landscape and friendly people to its rich traditions of food, drink, music, literature, and more.